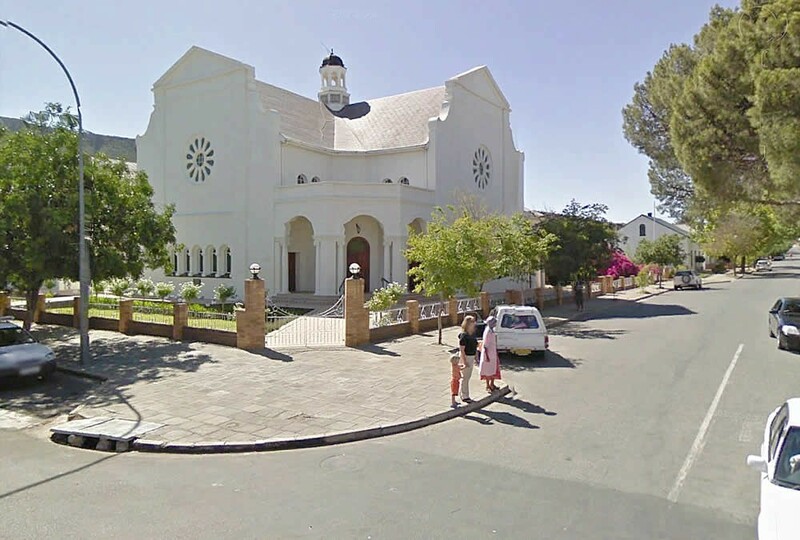 The breakaway group soon known as the “nuwe kerk” fist held meetings in the town hall and on the 16th March 1929 the foundation stone of a new church on the corner of Caledon and Bourke Streets was laid and on the 7th December 1929 the new church was put into service. The church is cruciform shaped with saddle roofs. The gables are pedimented below which are large rosette windows with small arched windows on the ground floor and a small bell tower on the roof.